The perfect blend of Granny Smith apple and caramel. Indulge yourself in the guilty pleasure of rich creamy peanut butter, surrounded by a layer of thick, smooth chocolate. Imagine sitting on your porch drinking a tall glass of fresh homemade lemonade with fresh strawberries in it. Sweet yet tart, cold and refreshing. That's exactly what this is like. A Deep & Rich full-bodied blend of chocolate and peppermint with just the right touch of sweetness and coolness to satisfy those cravings for an after dinner mint. A refreshing blend of banana, green apple and strawberries, in whipped cream. Clove and Spice and everything nice.. For those tobacco connoisseurs that have a love of exotic flavor this will be a real treat. This is a well-balanced blend of rich, earthy, spiced tobacco that is reminiscent of a Djarum. It's bold flavor, infused with clove, and a slightly cedar finish is a one of a kind experience and a must have for those whose cravings are not just for the taste of a Premium Tobacco, but for an exotic experience to sweep them away from the everyday monotony of Life. CryoSphere - guaranteed to send you back to the Ice Age! Ultra strong menthol with hints of eucalyptus and spearmint. 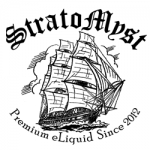 A refreshing Fruit Mix Flavored e-Liquid. Banana.. Watermelon.. with a hint of Cherry. Choice to Add Koolada - Koolada gives you a cool feeling at the back of your throat while vaping, but has no flavor. A Sizzlin' HOT Cinnamon temptation for your taste buds! Similar to the Atomic Fireball Jawbreaker. A well balanced blend of dark chocolate and coconut.. reminiscent of a Mounds candy bar.